There is a wide variety of different pipe materials that can be used in plumbing. Depending on when a home is built, the type of pipe used can vary widely. It is important to understand the basic differences between the most popular pipe types. There are a few reasons for this. It is important to know how long a type of pipe will typically last. Additionally, it is always good to know the pros and cons of material of the pipe prior to installation. Below are some of the most popular pipes that you can find in your home. This list is not all-encompassing, but you should be able to find some information on the pipes you have, or the pipes you are looking to install. Some of the most common pipes are as follows. 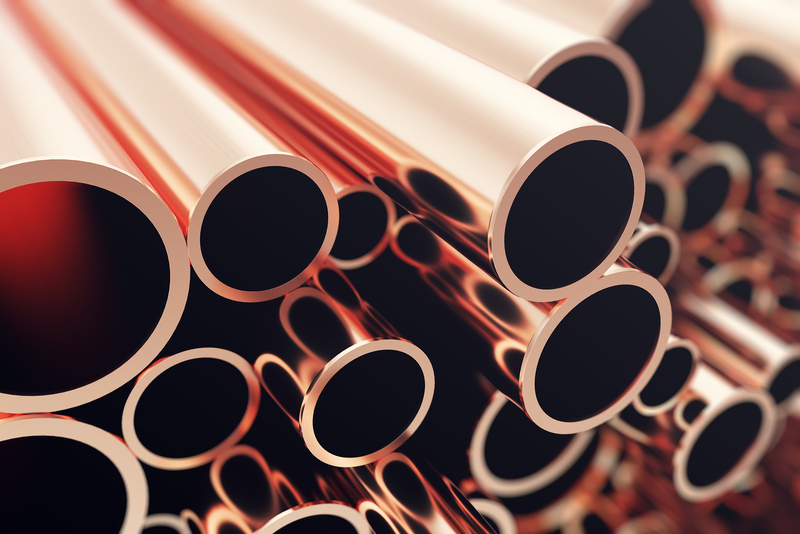 Copper pipes are, undoubtedly, the most widely used plumbing pipes. These pipes are versatile and farily corrosion resistant. Another great thing about copper pipes is that they are very long-lived. These pipes can often go over 50 years without needing to be replaced. They are fairly difficult to replace, so it is best to enlist a professional if you find yourself in need of a replacement. Brass pipes are also very common. They are admired for their longevity and durability. In fact, brass lasts the longest out of any of the materials on this list. Brass pipes are known to last much longer than copper, and can last for over 70 years. Basically, if your home is run with brass piping, you shouldn’t have to worry about them for quite a while. Galvanized steel pipes were much more popular in the past than they are now. This is because these pipes are prone to rust. In fact, it is not recommended to have galvanized steel pipes carrying potable water. Additionally, these pipes do not last as long as either brass or copper, though they can last for up to 50 years. Stainless steel piping is very durable and strong. It is also visually attractive, if the piping is visible at all. The downside to this piping is that it can be fairly costly. However, if you are in an area that sees flooding or salt damage, stainless steel may be the way to go. If you have PEX piping, you are either in a new home, or the pipes have been recently replaced. PEX piping is a new form of pipe that consists of flexible plastic. It is lightweight and very versatile. If you have it in your home, you shouldn’t have any problems. One thing to note is that the piping cannot be used outside, so that may affect your choice if you were planning on installing PEX. Plumbing in your home is very important. Ensuring that your pipes are ready and up to date is important. In most cases, you won’t have to worry about your pipes, but it is a good idea to arm yourself with the knowledge just in case.